We are a full service orthopaedic, sports and spinal physiotherapy clinic. 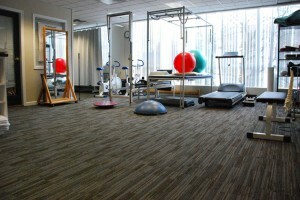 We have private rooms and a well equipped open gym area. You will find amongst our staff expertise in all forms of orthopaedic physiotherapy, manipulation, acupuncture, Intramuscular stimulation, exercise and postural assessment and women’s health. You’ll find answers to frequently asked questions, information on physiotherapy and our treatments.